This September first ATPL (Airline Transport Pilot License) Integrated student group finishes studies at Baltic Aviation Academy. After almost three years of intensive studies first 7 students from Lithuania, Ukraine, Russia, Tadzhikistan and Holland have completed their studies and are ready to start their career in aviation. During graduation ceremony students will receive Baltic Aviation Academy course completion certificate, which proves that students gained all necessary theoretical and practical knowledge to operate multipilot, multiengine aircraft and are ready to apply for the CPL(A)/IR, ME license. ‘Almost three years ago our students together with our school made first big steps towards one dream – becoming professional pilot. Those 7 students, who trusted us as the training provider, was the motivation that helped Baltic Aviation Academy move forward and grow. During these years we have expanded our fleet, gained Flight and Navigation Procedures Trainer and today we have more 50 students from such countries as Lithuania, Libya, Tanzania, Malaysia, Latvia, Italy, Slovenia, Tadzhikistan and Belarus’, commented Egle Vaitkeviciute, the CEO of Baltic Aviation Academy. The graduation celebration will be held at Baltic Aviation Academy headquarters located in Vilnius on the 6th of September. The certificates of Baltic Aviation Academy course completion will be awarded to the students in private ceremony attended by student friends, family members and Baltic Aviation Academy staff. In addition to Ab Initio trainings Baltic Aviation Academy provides Type Rating trainings for such aircraft as Boeing 737 CL, Boeing 737 NG, Boeing 747-400, Boeing 757, Boeing 767, Boeing 777, Saab 340/2000, Airbus A320, Airbus A330/340 and many more. 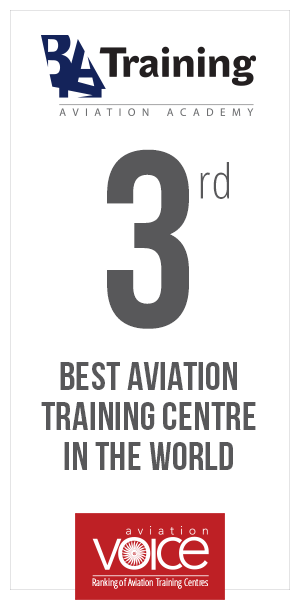 Training course completion certificates issued by Baltic Aviation Academy are valid in the European Union, China, Brazil, Philippines, Israel, Ukraine, Kazakhstan, Kyrgyzstan, Tajikistan, Belarus and Afghanistan.